Turkey (as well as all other poultry) is described and classified using a number of different criteria, which are described below. Kind Describes whether the poultry is turkeys, chickens, ducks, etc. Class Describes how the poultry is categorized, such as a fryer or roaster. Grade Describes the quality of the bird based on USDA (United States Department of Agriculture) guidelines. Common grades for poultry are A, B, and C, with A being the designation for the best quality. Style Describes the bird as being whole, cut into sections (halves, quarters, etc. 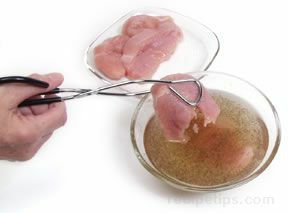 ), or cut into individual parts (breast, leg, thigh, etc.). Size or Weight Turkeys are specified by individual weight. Type Describes a turkey as being fresh, frozen, hard-chilled, etc. Packaging Specifies how the turkey is packaged at the processing company. Most turkeys are individually wrapped and may be shipped several to a container. Temperature Describes the ideal temperature for fresh, frozen, or hard-chilled turkeys for processing, shipping, and storing. Breed Quality, flavor, size, and the ratio of meat to bone can be affected by the breed of the turkey. White Holland is the breed that is most often raised for commercial purposes. 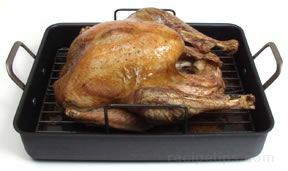 Fryer / Roaster A small turkey of 4 to 8 pounds is classified as a fryer-roaster and is usually no older than 4 months. Young A 4 to 8 month old turkey is referred to as a young roaster, which has soft, smooth skin and tender meat. Yearling A 12 month old turkey is called a yearling and the meat and skin are still reasonably tender, but not as tender as a young turkey. 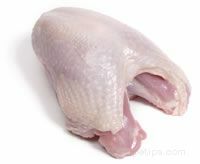 Mature or Old A mature turkey is 15 months or older and is not well suited for roasting because the meat is much tougher. Note: Whole turkeys may be labeled hen or tom turkey, but this does not make a significant difference in the quality. The flavor and tenderness of the meat is determined by the age of the turkey at the time it is brought to market, rather than the gender. Most turkeys used for roasting are between 4 and 9 months old and range in weight from 8 to 24 pounds. Any turkey labeled "fresh" in a food store has never been cooled to a temperature lower than 26°F, which is the point that turkey meat begins to freeze. A fresh turkey should be cooked no later than 2 days after it is purchased or by the "use by date" on the label, otherwise it must be frozen until it is ready to use. Some turkey processors label their fresh turkeys as "refrigerated" rather than fresh in order to prevent confusion with the consumer. Fresh turkeys that are chilled to 26°F may seem a bit stiff on the surface, as though they have been frozen when they actually have not. The cost of a fresh turkey may be a bit higher than a frozen turkey because of special handling requirements. The processor must ensure that the turkey remains at a temperature of 26°F from the factory to the market and the market must ensure that their refrigerated case does not climb above 38°F to 40°F. Although turkey meat begins to freeze at 26°F, in order to be considered "frozen" a turkey must be cooled to a temperature of 0°F or below. Commercial processing companies use a flash freezing process that quickly cools turkeys to 0°F or below. This ensures that when the turkey is defrosted, the meat will be at the same level of freshness as the day it was originally frozen. There is no difference in the quality of turkey that is fresh or commercially frozen, but fresh turkey that is placed in a home freezer may deteriorate more quickly than turkey that has been flash frozen in commercial equipment. This is because home freezers are not able to cool the meat as quickly as commercial freezers. points to consider when using a frozen turkey. A frozen turkey may be safely prepared up to a year after it was originally frozen. A frozen turkey that has been thawed should not be refrozen until after it is cooked. A turkey that has been defrosted before it is sold must be labeled "previously frozen." turkeys that are available in most food stores. 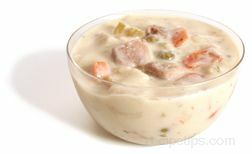 Prestuffed frozen turkeys can be purchased with a variety of stuffing flavors and in a large selection of sizes. Prestuffing and freezing a turkey at home can be dangerous. Home freezers cannot freeze as quickly as commercial freezing processes. 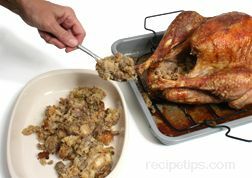 The stuffing increases the growth rate of harmful bacteria, which may multiply rapidly before the turkey has a chance to freeze properly. 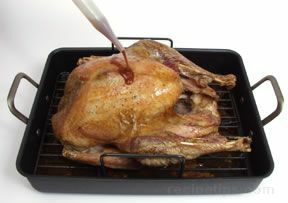 A self-basting turkey is injected with various ingredients, such as oil, juices, and seasonings, before it is frozen. When the turkey is roasted, the added ingredients keep the meat moist and tender as well as provide extra flavor. Whole turkeys are available that have been deboned and packaged. The preparation, cooking, and carving are much more convenient. Another type of turkey roast consists of pieces of white or dark meat or both, that are removed from the bones, placed in a foil pan, and frozen to be cooked when needed. Turkeys that are hard-chilled are cooled to temperatures between 0°F and 26°F. They are not considered fresh or frozen and so they are not labeled as such. Since they are not considered frozen, the turkeys must be handled as though they are fresh to ensure proper food safety. Turkey is often cut into parts, packaged, and sold fresh or frozen. Turkey breasts, drumsticks, thighs, and wings are often sold this way. The breast section of a turkey is quite large and it is often cut into smaller cutlets that are thinly sliced. Turkey parts can be ground and used in the same way as beef cuts that are ground into hamburger. Ground turkey can be used to make patties, meatloaf, casseroles, and many similar types of dishes and it has much less fat than ground beef. 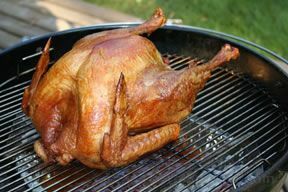 Smoked turkeys are ready to eat because the smoking process cures and cooks the meat with indirect heat. They are available in a wide range of flavors depending on the type of fuel used for the smoking process. A turkey known as "free-range" indicates that the bird was allowed to roam outdoors, which may have a positive affect on the flavor of the meat, especially if the roaming area was not too crowded. The amount of space that a turkey is given to roam, regardless if it is indoors or out, actually affects the quality to a greater degree than if the bird is simply allowed to be outdoors. An organic turkey refers to a bird that is allowed to eat only organic feed and is allowed to roam outdoors (free-range). In order to be classified as organic, the turkey can never receive any antibiotics. 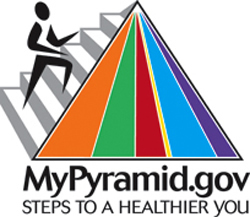 Growth hormones are also prohibited, which is the case for all commercially raised poultry. This refers to turkeys that have limited processing with no artificial ingredients or coloring added. The term "natural" does indicate that a turkey is free-range. The meat is also be a bit drier than other types of turkeys that have had additional processing. A kosher turkey must be raised and processed with strict guidelines under rabbinical supervision. The turkeys are free-range birds that are fed only grain, are never given any antibiotics, and are individually inspected. 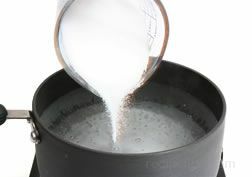 When they are processed, the turkeys are soaked in a salty brine solution to provide maximum tenderness and to give the meat a unique flavor. Before turkeys were raised in large commercial sites and mass marketed, most people ate a variety of breeds raised on small farms. Today these various breeds are known collectively as "Heritage Turkeys", which are making a comeback. Heritage turkeys are free-range birds and include breeds such as Jersey Buff, Bourbon Red, Black Spanish, and Narragansett. The various breeds generally have a longer body, smaller breast muscles, and are bit leaner than commercially raised birds. Heritage turkeys require an additional 2 to 3 months to grow to the proper size for processing. This makes the turkeys more expensive than commercially raised birds, but most people feel the extra expense is justified because of the excellent flavor and the texture and tenderness of the meat. Most heritage turkeys are raised on small farms where they can be directly purchased or they can be conveniently purchased from a number of online sites and shipped directly to the consumer.